Hardback, 9 x 12 in. / 144 pgs / 68 color / 22 bw. Edited by Veit Görner, Frank Thorsten Moll. 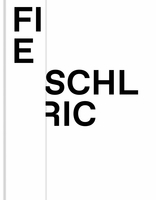 Text by Kay Heymer, Roland Meyer, Frank-Thorsten Moll. Painter Francesco Clemente once said of Eric Fischl, "If life is what happens to you as you make other plans, then 'life' is Eric Fischl's subject matter." 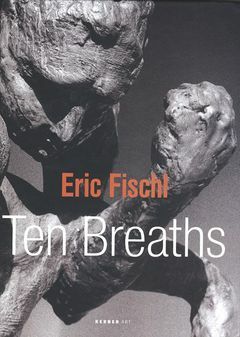 Though Fischl is best known for his figurative paintings, this monograph presents a 2007 series of 13 sculptures and corresponding large-format gouache works. Cast in polyester and resin, the life-sized, three-dimensional nudes enter into tense dialogue with the drawings, depicting the same element of human struggle that we find in Fischl's paintings. Naked bodies without context or reference, engaged in no specific narrative, offer any number of possible interpretations. They allow the viewer to indulge in careful observation, daring us to penetrate the surface patina of the sculptures to see if anything lies beneath. A special section includes a complete catalogue raisonée of the sculptural work from 1975 through 2007. Edited By Martin Hentschel. Essays by Martin Hentschel and Robert Rosenblum. FORMAT: Hardback, 9 x 12 in. / 144 pgs / 68 color / 22 b&w.